If Scottsdale AZ is on your list of potential places to live in Arizona, take a look at Oro Valley AZ. Scottsdale is a large suburban area to the east of Phoenix. Scottsdale AZ is a prominent location for year around living or your winter residence with a population of over 200,000 households. Scottsdale AZ covers just over 180 square miles divided into four major areas – Old Town Scottsdale, North, South and Central. Each area has its own feel, neighborhoods and lifestyles. Old Town Scottsdale is really the downtown area. Accordingly, it has a lot of business locations and a very low residential population. Although Old Town has some condominium complexes, it is mostly made up of stores, restaurants and nightclubs. North Scottsdale has many upscale neighborhoods and high-rise communities to live in. North Scottsdale AZ is the place prime real estate is to be found. Homes in this part of Scottsdale will range from $400,000 to over $5 million dollars. South Scottsdale is generally defined to be within the boundaries of Thomas Road to McKellips Road. This area is a bit more affordable than the north. Median home prices are around $300,000. 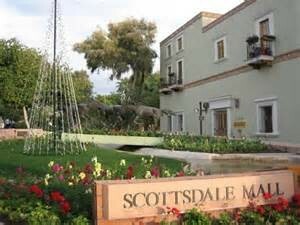 South Scottsdale AZ is home to thousands of working residents who enjoy the region’s beauty. Central Scottsdale runs along Shea Boulevard. Residential communities include Gainey and McCormick Ranch. These two older communities are popular places to live in the district. Central Scottsdale also has a number of upscale resorts along Shea Boulevard, making it a popular part of town. The cost of living in Scottsdale is high. With living costs 12.4% greater than the national average and 10.5% higher than the Arizona average. This higher cost of living is also reflected in Scottsdale home prices. The median home value in Scottsdale AZ is $383,600. Scottsdale home values have declined -1.6% during 2014. Notable sources suggest home prices will rise 1.2% in 2015. The median list price per square foot in Scottsdale is $221/sq ft. This is higher than the overall Phoenix Metro average of $124. The median price of homes currently ( January 2015 ) listed in Scottsdale is $549,000. That is considerable higher than the median price of homes that sold at $351,975. For those with smaller budgets or desiring a more relaxed lifestyle, you may want to look about 90 miles south of Phoenix in the Tucson AZ area. Specifically, the Town of Oro Valley AZ. The Town of Oro Valley is about 10 miles north of downtown Tucson, but is a world apart. Oro Valley has about 45,000 residents and offers many recreational activities at reasonable cost compared to Scottsdale AZ. The median home value in Oro Valley is $259,400. Oro Valley home values have gone up 2.0% over the past year and are predicted to increase 2.4% within the next year. The median list price of a home in Oro Valley is $140/sq ft. which makes the median list price about $281,500. The median price of homes that have sold is $250,925. Oro Valley also offers some spectacular views of the Santa Catalina Mountains, Tortollia Mountains and Tucson Mountains. These beautiful mountains are three of the five mountain ranges surrounding Tucson AZ. The Amphitheater School District serves families in The Town of Oro Valley AZ. Scottsdale AZ is a popular place to live in Arizona as 200,000 household would attest. It has activities, restaurants and lots of things to do. If you don’t mind the fast pace, lots of traffic and higher costs. The Town Of Oro Valley, AZ is just 90 miles south on highway I-10 – MAP – and offers similar activities, great restaurants, a casual lifestyle and a lower cost of living. Which one is right for you? The “better choice” is in the eye of the beholder! Give us a call, take a look. If you are considering a move to Arizona for a job, winter retreat or future retirement location, we can help.